Going on the Ketogenic Diet has changed my life! I shouldn’t really call it a diet, as it’s more of a lifestyle change. It takes some getting used to, but the results are nothing short of amazing! You probably know someone on the keto diet, or at the very least, you’ve heard about it. It might seem like the latest fad diet craze, but there’s a lot more to it than that. The keto diet is based on triggering a process called ketosis, where your body burns fat for energy, in your body and people are seeing amazing results from it… including me! I lost over 20 lbs in less than 3 months! It really is more of a lifestyle change than a diet. The benefits of it aren’t just weight loss, you will also have more energy, clearer thinking and feel great! Sounds awesome, right? But reaching ketosis isn’t instant. It can take days or even weeks to reach that optimum fat-burning state. This post is aimed at explaining what ketosis is, how it can benefit you and, most importantly, how to kick-start ketosis FAST! Want to know more about Ketosis and the Ketogenic Diet? Then check out Keto Bootstrap’s Beginners Guide. Also, take a look at the Keto Bootstrap membership site. 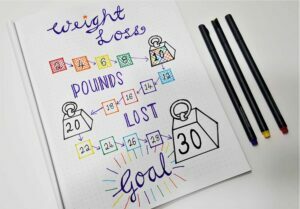 I have to say that without joining this awesome community, I would not have been able to lose over 20 lbs! It gives you all the info you need – meal plans, recipes, macro calculations, exercise plan, support and more! A quick word about diet drinks. Confused by all these percentages and numbers? You need to calculate your optimum “macro” levels (carbohydrates, proteins and fats) to reach and stay in ketosis. There’s lots of macro calculators out there, but I like the one by Keto Diet App. The Ketogenic Diet, or Keto Diet, is an eating program that forces your body into a state called Ketosis. Without getting too techie, Ketosis is basically when your body uses fat for fuel, instead of carbs or sugar. In theory, our bodies are designed to get their energy from glucose (which comes mainly from carbs and sugars), but if we consume too much glucose, then our body converts the excess into fat. Glucose in our diet is also not a very long lasting energy source, so that’s why we get cravings for sugary or carb foods in the middle of the afternoon. That energy crash you experience is your body needing more glucose to get you through the rest of your day. When you have fewer carbs and sugars in your diet, your body knows it still needs an energy source, so it triggers ketosis (the production of ketones) and uses your fat stores for energy instead. That’s why people have been known to survive weeks without food. The metabolic state of ketosis can sound a little extreme to some people, but it has so many benefits to our bodies and minds. The most obvious one is, of course, weight loss. If your body is using it’s fat for energy, it’s not only using up your existing fat stores, but it’s not creating new stores either! So you can lose significantly more weight than with traditional dieting models, where it takes a lot more effort to get your body to use fat stores. Without the up and down surges of glucose in your system, you will have a more constant and reliable source of energy (fat!). This means you will have increased energy, but even better, your energy levels will stay high ALL DAY! No more 3 pm slump! Our brains need energy to run. Traditionally that energy comes from glucose, and just like the rest of our bodies, our brain is getting that energy in surges. So when we are in ketosis are brains are getting a constant and steady stream of energy. No more brain fog in the middle of the afternoon! The sooner you can kick-start ketosis the better your brain will feel! Without the sugar crash associated with carb-based diets, our bodies can keep going for longer. So for endurance type sports, ketosis is very helpful. Our modern diets contain a lot of foods that inflame our systems. When our bodies are inflamed, they can’t function probably and start to develop problems (like chronic pain, cancer, diabetes etc). Inflammation is caused by excess sugar in our bodies, which triggers the release of insulin. This insulin and excess of sugar cause the inflammation. Although ketogenic friendly foods aren’t necessarily anti-inflammatory, by cutting out carbs and sugars you are removing the source that causes the inflammation. But unfortunately, our bodies aren’t instantly triggered into ketosis. It can take days or even weeks for our bodies to switch over. Everybody is different, so it really is a different experience for every person. Personally, I take longer than average to reach ketosis and have to be very careful about my carb levels or I drop out of it again quickly! I had to learn how to kick-start ketosis so I could be successful with this new lifestyle change. There are a number of things we can do to speed up this process. Below are 7 kick-start ketosis hacks (that I’ve personally used) to help you reach that optimum fat-burning state FAST! Before we look at the kick-start ketosis hacks, I want to talk about Exogenous Ketones. While you are waiting for your body to switch over to ketosis (or to give yourself a boost once you are already in ketosis), you can take a supplement called exogenous ketones. Exogenous ketones are basically ketones that come from outside the body, instead of being produced inside the body. Once you start eating a low-carb diet, you might experience “Keto Flu”. Everyone is different and some people experience it worse than others. Keto Flu basically happens when your body is running out of glucose for energy but hasn’t started producing ketones to use fat instead. You might feel tired, foggy or just unwell (like the flu!). Your cells don’t know the difference between exogenous ketones and the ones you produce yourself, so you can start to feel the benefits of ketosis straight away! The ultimate way to kick-start ketosis! There are many products on the market and they are not all created equally! I like Keto Magic, it has a pleasant tropical fruit taste (most exogenous ketones taste GROSS! ), is effective and more affordable than most brands. Keto Magic is also easy on the stomach, a lot of brands are so packed with different ingredients that they give you an instant stomach ache! Now we know what ketosis is and how it can benefit us, we want to find ways to reach this nirvana state as quickly as possible and kick-start ketosis! We all know how important sleep is for all our body functions, and this is especially true when trying to kick-start ketosis. You want to be getting at least 7 hours sleep a night, but ideally more! If you have trouble sleeping, then make changes to your before bed routine and sleep environment. Check out my sleep post, Tips, and Tools for a Better Night’s Sleep, for more help with getting a good night’s sleep. Before you can reach ketosis, you have to use up your body’s glycogen stores (stored glucose). By increasing your activity level, you will use this store of glycogen up sooner, and your body will switch over to ketosis quicker. High-Intensity Interval Training (HIIT), is one of the most effective ways to use up your glycogen store. Intermittent fasting is where you fast daily for a number of hours. For example, you might fast for 16 hours, and then eat all your meals within an 8-hour window. Skip breakfast and have your first meal of the day at 11 am. Then make sure you have your last meal by 7 pm. That way you will be “fasting” for 16 hours, between 7 pm and 11 am – most of which is while you are sleeping! If you decide to try intermittent fasting, then I suggest you start on a weekend (on a day when you can sleep in). I find it much easier to intermittent fast on days when I can stay in bed and don’t have to be up and out to work. By the time, I’ve got up, dressed, done a few chores, it’s almost 11 am anyway, so I don’t feel “deprived”. Note: You must make sure you are still drinking lots of water during your intermittent fasting. You can also have other keto-friendly drinks like coffee and tea. When you first start on the keto diet you might lose a lot of water weight. You need to make sure you replace this and keep your body hydrated. You need to be aiming to drink 0.5 to 1 fluid oz per pound of body weight per day. So a 140 lb person needs to be drinking between 70 – 140 fluid oz of water daily. That’s between 9 and 18 glasses of water a day! You also want to make sure you keep your electrolyte levels up. The easiest way to do this is with a water supplement such as Mio Electrolytes. Steer clear of other sports drinks as they are loaded with sugars! Although technically most diet drinks have zero grams of carbs and sugar, they are still harmful to the ketosis process. Diet sodas and other drinks contain artificial sweeteners that can trigger your sweet-tooth. One of the hardest parts about starting the ketogenic diet is detoxing for sugar. You will probably crave sugary foods for a few days. So having sweetened drinks is going to make it harder to get ditch your sugar addiction. If you are finding it hard to reach ketosis, then you want to make sure you are not consuming too much protein. The key to the keto diet is to consume MODERATE protein (not high protein like other low carb diets). Your body will actually convert any excess protein into glucose! Sneaky! The first time I tried the keto diet, I snacked on a lot of nuts, which are low carb, but high in protein! I couldn’t work out why after a week of eating keto-friendly foods, I still wasn’t in ketosis. Protein should account for no more than 20-25% of your daily calorie intake. When you first start on keto, it can be difficult to consume enough fat. After all, we’ve been told our whole lives that low-fat food is better for us (not true!). However, you will struggle to reach ketosis if you are not consuming at least 75% of your daily calories in fat. This can be difficult sometimes, that’s why “fat bombs” are so popular! These are foods that are ladened with fat, but very little (or no) protein and carbohydrates. This chocolate and PB fat bomb by Keto Dash is one of my favorites. This is the REAL SECRET to kick-start ketosis! Yes, keto is a low carb diet, but you still will be consuming some carbs. Most keto websites and books will suggest consuming 5% of your daily calorie intake in carbs or 20 to 50 grams. This is reasonable, but remember the more carbohydrates you consume the longer it will take you to reach ketosis. If you really want to kick-start ketosis, then you need to be eating less than 5%. My goal is to consume about 15 grams of carbs a day to really give ketosis an extra boost! Also remember the less active you are, the fewer carbs you need. If you have a sedentary job, your carb intake will be a lot lower than someone that is physically active all day. It’s all very well to know how many grams of fat, protein or carbohydrates you need to consume a day, but it’s hard to then figure out what meals you can have to meet those goals. I have created a 3 Day Kick-Start Meal Plan which is what I personally use when I need to jump back into ketosis. It’s full of yummy and easy to cook meals (I’m a terrible chef, so if I can make them, so can you!) that will help you reach ketosis quickly. Disclaimer – this meal plan is based on my own macro requirements. Everyone is different, so your requirements might be different. However, this is an excellent starting point and it is easy to modify. I love keto food! It is so tasty and filling – it’s hard to believe you are on a “diet” when you can have a plate full of bacon and eggs for breakfast! I hope you find this kick-start ketosis guide useful and enjoy the meal plan as much as I do. I’d love your feedback.